Since 1989, Gim Tim is the place to go to enjoy the finest of Hokkien and Cantonese cuisines in cosy ambience. The Signature Dish - ' Buddha Jump Over the Wall' has won much acclaim among food lovers. House Specialties : Red Garoupa Prepared in Two Ways 大红班两味, Sauteed Fried Fresh Scallops and Deep Fried Scallops with Yam 皇冠玉带巢. At Gim Tim, every individual wedding is like a piece of romantic snowflake; different and unique. This in mind – Gim Tim approaches every wedding with the aim to make it your perfect memory. With our years of extensive experience and having held numerous wedding dinners, our versatile chefs will whip up tantalizing cuisines for your guests. 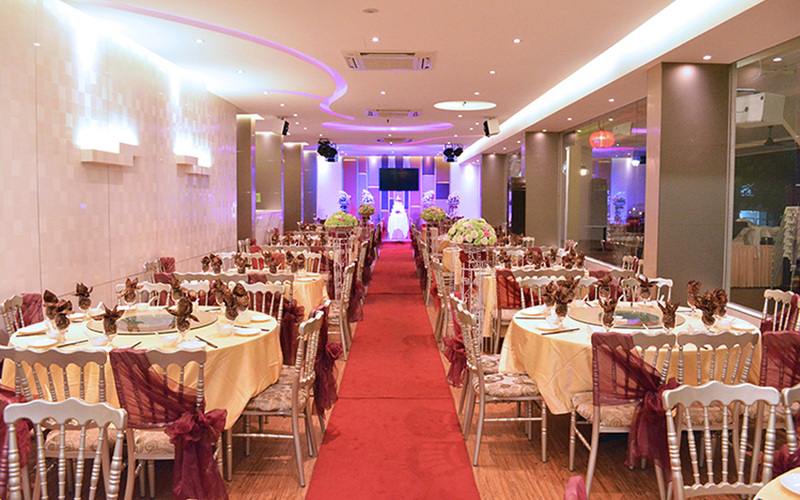 Be assured that your wedding held with us, will be more than satisfactory. If you are planning an unique wedding celebration to held outdoors or out of the ordinary venues, Gim Tim is the perfect choice to complement your special occasion. Our Sales & Banquet team can assist in arranging any event or occasion, from intimate to grand, including company's D&D, incentive dinners, fine dining and wedding.